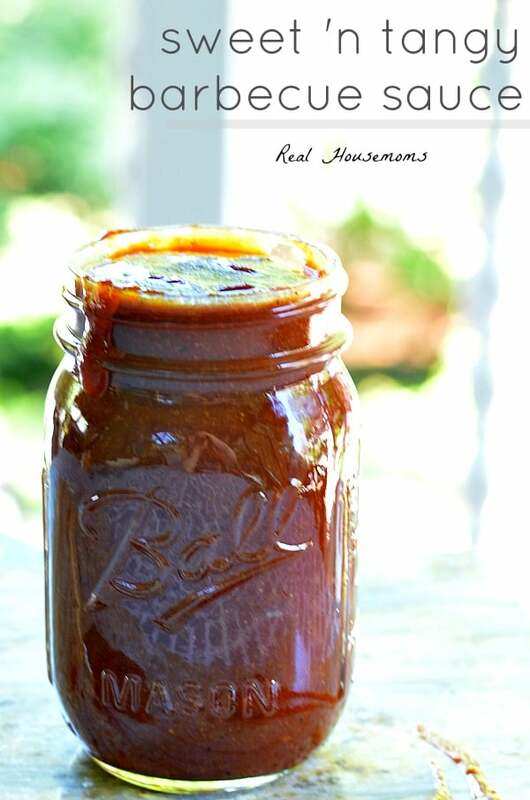 This Sweet and Tangy Barbecue Sauce is out of this world good! It has just the right balance of sweet, spicy and tangy! It’s a hit at every barbecue! For years I have been thinking of making my own barbecue sauce and just haven’t. It wasn’t that I was intimidated by the process, it’s really very simple, it was more that I loved one particular sauce. My husband and I love the barbecue sauce from Wood Ranch. It’s a barbecue restaurant in California and for years we would stock up when we went back to visit family and friends in CA. I even had a friend that would pack some up and bring it out every time she came to visit! Recently I decided to try to crack the code and make my own version of this sauce. Let me tell you that was the plan. This sauce ISN”T Wood Ranch barbecue sauce but it was so good that I had to share it with you. My husband absolutely loved it! This sauce has such a great balance of sweet and tangy with a bit of a kick at the end. I used pureed apricots, brown sugar and molasses to get the sweet flavor, then that’s mixed with the apple cider vinegar for some tang then at the end you get a kick from the cayenne pepper. I made a big jar of it and we used it on lots of barbecue, starting with a grilled BBQ pork roast that I’ll share with you soon. I may not have found the secret to Wood Ranch’s barbecue sauce but I did come up with a sauce that I love and will make again. 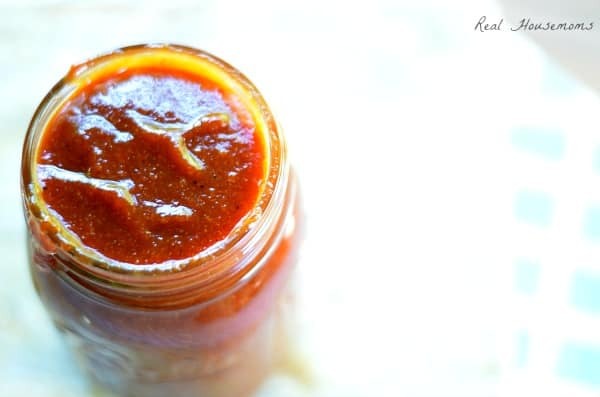 This Sweet and Tangy Barbecue Sauce is out of this world good! It has just the right balance of sweet, spicy and tangy! It's a hit at every barbecue! Sounds great! I am going to see if my granddaughter would make it for us, so we can have it on some of our BBQ.